At the Battery Warehouse, we are going to supply all your Leisure & Marine requirements with a vast variety of battery products ranging from 75Ah through to 225Ah. The ECB Leisure and Marine range. A quality range of high powered batteries engineered with the most updated technology for todays as well as tomorrow’s leisure and marine. The East Coast Battery Leisure and Marine range is considered to be a quality range of high powered batteries engineered with the most updated technology for todays and tomorrow’s leisure and marine. The ECB range offers a new generation of safe clean & even more powerful, portable energy solutions for motor boats, caravans, yachts, motorhomes, narrow boats and lots other applications. Here are the Leisure and Marine range’s features. Specially designed with the end user in mind. We understand that what one customer demands of a leisure battery can be very different to the requirements of another. We can also stock Optima, UKG & Monbat Leisure & Marine products. See more categories about the other battery products from our sites as shown on the categories bar at the top of the pages now. All things related to the Leisure and Marine have been mentioned above with the aim of helping you have the best knowledge about it. If you want to know more about other products, see them below. 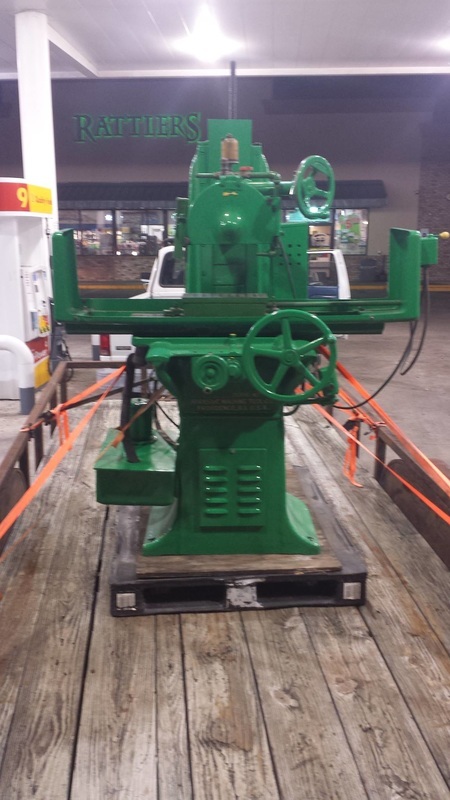 Picked up a new to me Abrasive 1½ surface grinder yesterday. Previous owner had done a complete restoration just in time to pick up a larger capacity grinder so they only ended up using it a few times after they restored it. It's VERY smooth and the restoration was done really well. I've never owned (or operatred) a surface grinder myself before however, so please excuse my surface grinder operation FNG questions... I'm sure I'll have more to come as I'll be using it for some production work. The reason I picked it up is to put a final mirror finish on, and take to final dimension, work coming off the mill. It appears that the magnetic controller for the chuck they included in the sale either isn't working, or was broken, as when they took everything apart to do the restoration work, the guy doing it didn't take notes on how it was wired... so when he tried wiring it back up again, he couldn't get it working. The other guy in the shop "isn't an electrician either" so he also couldn't figure out how to get the mag chuck working. They ended up using a permanent magnet chuck, but moved that chuck to the other grinder they have prior to the sale. I haven't gotten the grinder off the trailer yet, but I do know that I will need to troubleshoot the mag chuck/controller. Also, they took the grinder wheel off prior to loading it up. "If we sell it with a wheel, and the wheel bursts, we are responsible for it" was the reasoning. We've all been there, so I can't blame 'em for that, and their reasoning made sense so no biggie there. It means I need to buy some grinding wheels tho, and I'm totally inexperienced here! The grinders spindle is 1.5" (I'm assuming that's what the model 1½ means), so I had figured that means I'd be looking for a stone with a 1.5" ID hole, but wanted to touch base here because I don't want to pull a stupid FNG move right out of the gate. The seller had mentioned that it took 3" hole wheels. So either I'm not understanding something here (most likely) or maybe he didn't remember correctly (also possible but I would consider that to be far less likely). For an OD it looks like I'd be searching for something in the 10" to 12" range. I'm not sure how much room one should have around the perimeter of the grinding wheel, but it appears that the total width would accept a wheel up to 12 in diameter. Maybe that means I need a 10" wheel tho. Again, FNG(rinder) guy, so go easy on me. I'm presuming that the thicker the wheel, the better the finish, and he did say it took up to a 1" thickness "without doing anything funny for recessing and the like." So is that logic sound, or even tho it accepts up to that thickness should I be looking at something thinner like 1/2" for better final surface finish quality? Aluminum and Zink alloys - I believe a silicon carbide wheel is needed for these, correct? I'm not expecting I'll be grinding any rubber, bronze, stainless, or anything like that, or at least not any time in the foreseeable future. Any decent material I should be sure to read or videos I should watch that you'd recommend to a machinist with no personal experience before with a surface grinder?